We all know the familiar scene. Bloodthirsty, heartless, brain-dead drones attacking helpless victims en masse. Little did that victim know that he would soon be slashed – price slashed – and consumed by a violent mob. That poor, innocent Xbox never saw it coming. And before you Walking Dead fans say anything, yes, I call them zombies. You know why? Because they’re zombies. The fact that they refuse to ever use the word “zombie” is the least realistic part of the whole show. Are we to believe these people never saw a zombie movie in their entire lives? Come on! The dead coming back to eat the living? Yeah, sure. But a world without the word zombie? Homey don’t buy that. Just get a few hundred people together for a mediocre deal and you can easily see why we will all eventually die in a zombie apocalypse. 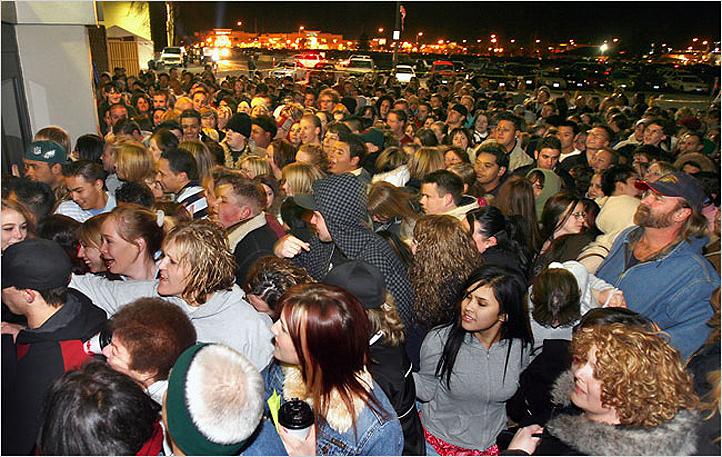 After hearing some of the stories of Black Friday 2011 I’m not totally convinced that there aren’t a few of the infected already out there. Police pepper spraying shoppers, shoppers pepper spraying shoppers, pepper spray policing shoppers, dogs hugging kittens; it’s all a sign that we’re going down. If a cop can’t even handle some housewives with too much time and not enough money, there is no way they’re going to calmly obliterate a zombie hoard. And there is always that one character in the group of survivors that starts out okay, but has the crazy eye. You know the one. You see him and think “that boy ain’t right” (or “something is amiss with that young man” – individual thoughts depend on your level of hillbilly). But then that guy goes totally nuts and kills a bunch of people. Well, it would seem, based on Black Friday, that it should really be everyone just running around shooting each other in the neck. People on TV calmly band together and find antibiotics for their friends. People in real life face palm their grandmother to get $100 off an HDTV. Which is scarier? So what’s the point that this snarky self-helper is trying to make? 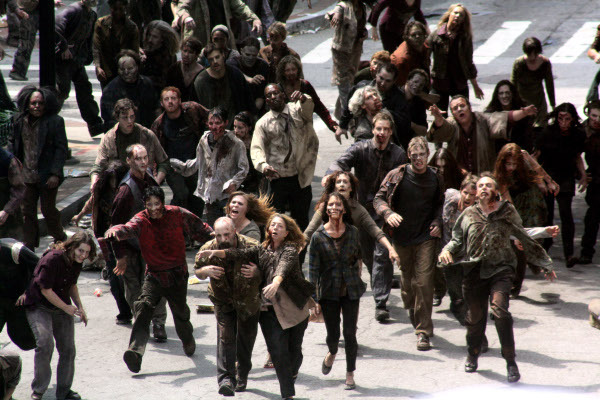 If the world gets taken over by zombies, we’re all screwed. I’m talking I Am Legend even-the-dog-gets-it kind of screwed. Not Night of the Living Dead One-bad-night-and-then-we’re-playing-hit-the-zombie-with-a-rock-in-the-backyard style screwed. The horror. Oh, the horror! Sorry, I got ahead of myself. Let me take a moment to set a scene for you. You’re in the checkout line of your local grocery store getting ready to purchase your adult beverage of choice. You’ve carefully thrown some additional items into the mix so it doesn’t look like you went to the store just to buy booze. Everyone knows that you want your shopping selection to have that “I just noticed the alcohol while I was shopping for my groceries” feel. It’s just the classy thing to do. 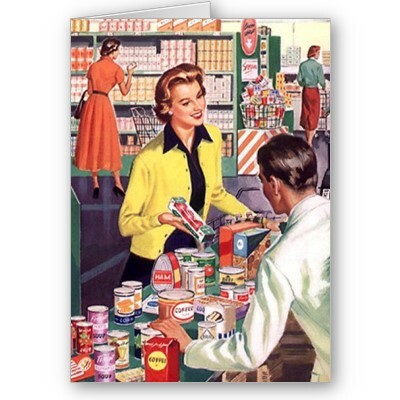 Since you’re a courteous shopper, you politely get your I.D. ready to hand to him. The sign does say that they card anyone who looks under 40-years-old after all. In a humiliated panic you try to subtly put your ID back into its slot in your wallet. You attempt to cover this catastrophe by pretending that you’re getting out your credit card, but you can tell everyone is looking at you and laughing. Laughing at your smug delusion. “Ha! She thinks she looks 19,” they think to themselves. There has to be some reason for this blatant oversight. The explanation is not an easy one to accept, but there is only one logical answer: he’s incompetent. Here’s a little tip from this snarky self-helper to all the cashiers of the world: always ask a woman for ID. Trust me, it’s for the betterment of society as a whole.